A New Perspective of The Most Popular Places on Earth. No matter how many times you fly in an airplane you likely will never get tired of seeing what different places look like below you. From above we can see entire cities, filled with millions of people, at a glance. From the sky, even the Great Pyramids look tame and miniature. When you live among the trees, you never get a feel for how big the forest actually can be. So, to help open your eyes to the various ‘forests’ of the world we decided to do something special. Listed below are 30 aerial views of the most popular and beautiful places on the planet. While #30 will stun you, it is #2 that left us breathless. 30. Central Park,- New York City, NY. Central Park in New York City is big, natural, and beautiful. This aerial shot shows all 843 acres of the sprawling park replete with the city around it for comparison’s sake. This is roughly 3.5 miles of green nestled into one of the largest cities on Earth. 29. 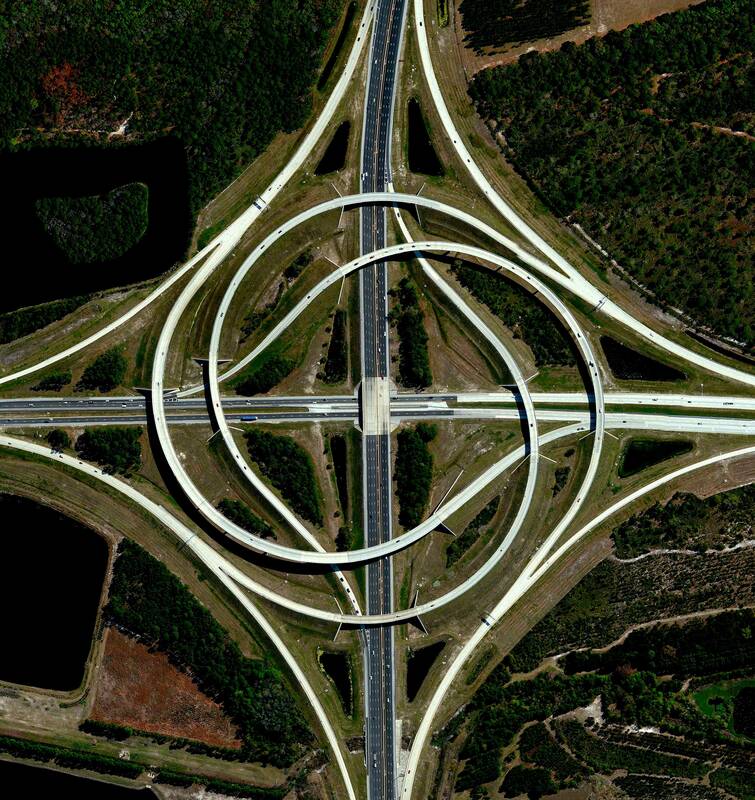 Jacksonville Interchange – Jacksonville, FL. From your driver’s seat, this interchange probably feels like a nightmare. From above we can appreciate the carefully designed and modern stylings of one of Florida’s most exotic highways. 28. Niagara Falls – Canadian Border. Even from this mile-high perspective, you can feel the power of the Falls in action. Located on the Canadian border, across from New York, the Niagara Falls are one of the greatest natural wonders in the world. 27. 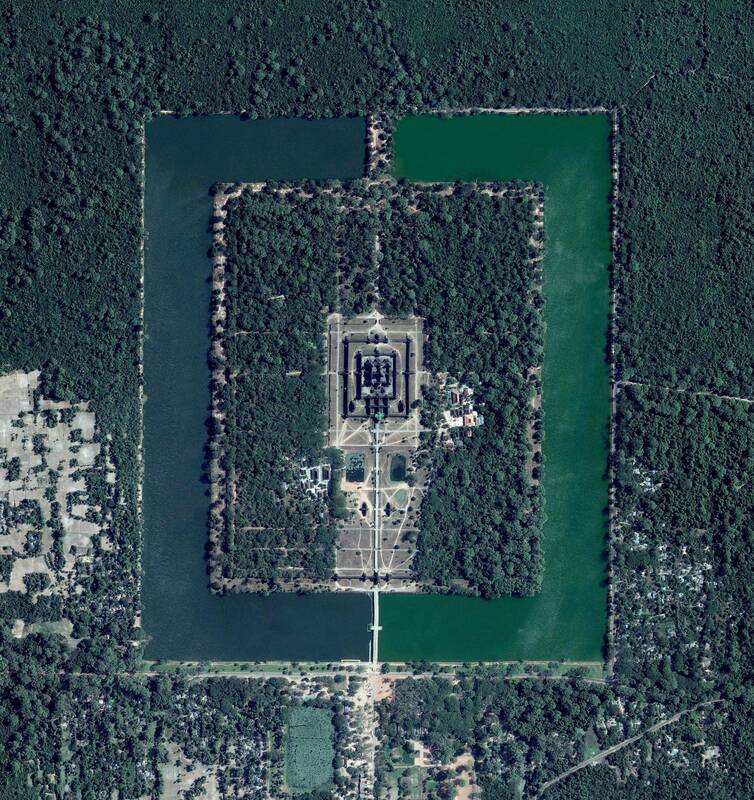 Angkor Wat – Cambodia. Did you know that Angkor Wat, located in Cambodia, is the largest religious monument on the planet? In this shot, we get a perspective of the more than 400-acre temple, built to worship the Hindu god, Vishnu. 26. Dubai Islands – United Arab Emirates. There is so much more going on over in the UAE than most people know about. This satellite view of the Dubai Islands allows us to see some of the gorgeous workmanship that has gone into planning these various cities. 25. 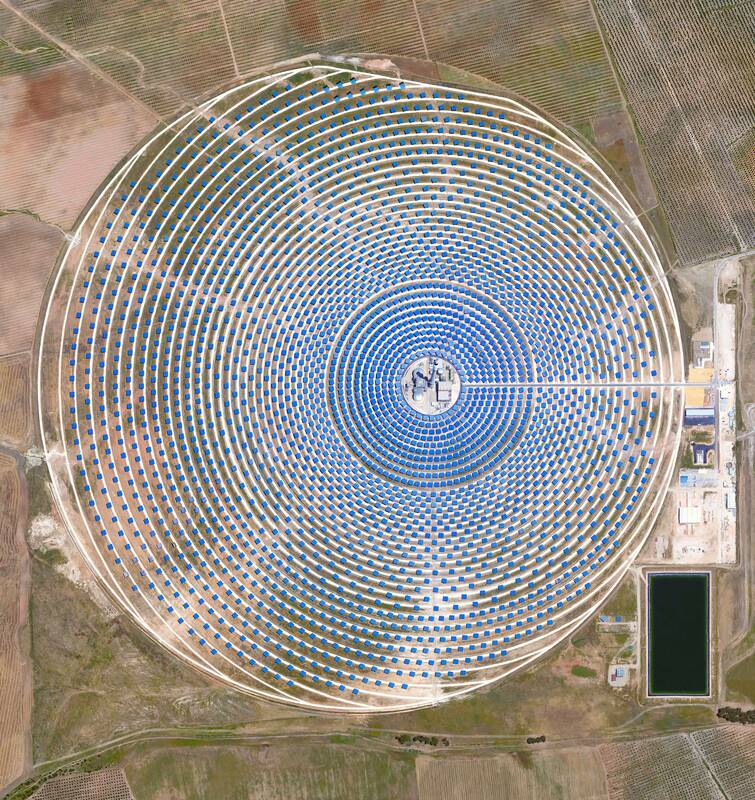 Gemasolar Thermosolar Plant – Seville, Spain. Located in Seville, Spain this solar concentrator contains over 2,650 mirrors that are used to focus thermal energy from the sun into a 460-foot tall tower. This facility helps offset over 30,000 tons of C02 emissions every single year. Barcelona is a bustling mix of ancient history and modern evolution. The city was originally founded back in 3rd Century A.D. Revered for its gothic architecture and mid-European romanticism, Barcelona is a must-visit for any committed tourist. 23. Davis-Monthan Air Force Base – Tucson, Arizona. 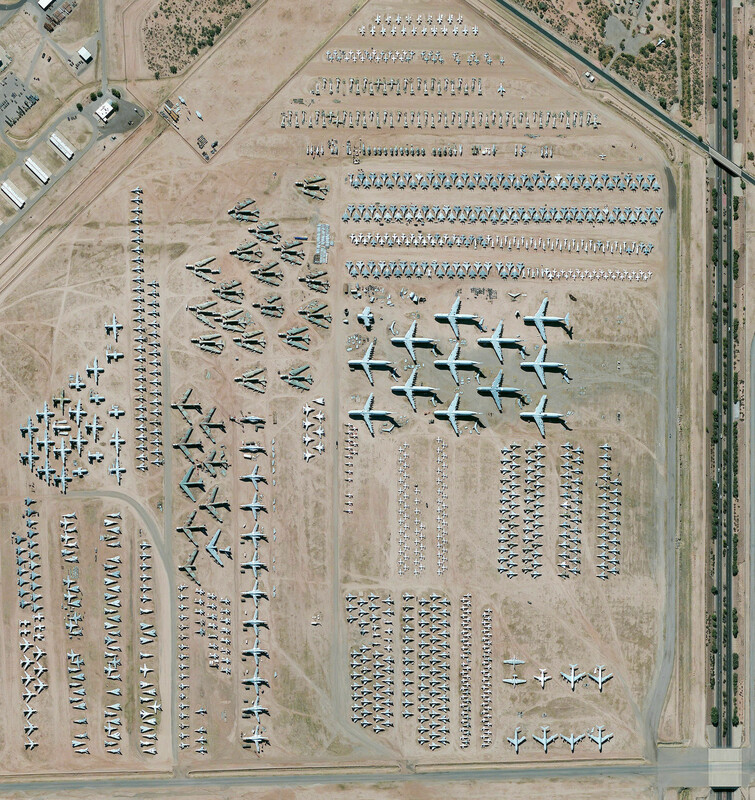 Though not known of by many, the Davis-Monthan Air Force Base is the largest aircraft storage and preservation facility on the planet. There are more than 4,400 retired aircraft from the U.S. military and government in this boneyard. 22. Mexico City – Mexico. Located in the Valle de Mexico, Mexico City is an ancient and rolling cluster of civilization. More than 8 million people call this city their home and their lives range from the hovels of forgotten boroughs to the gorgeous and refined districts of the upper class. 21. 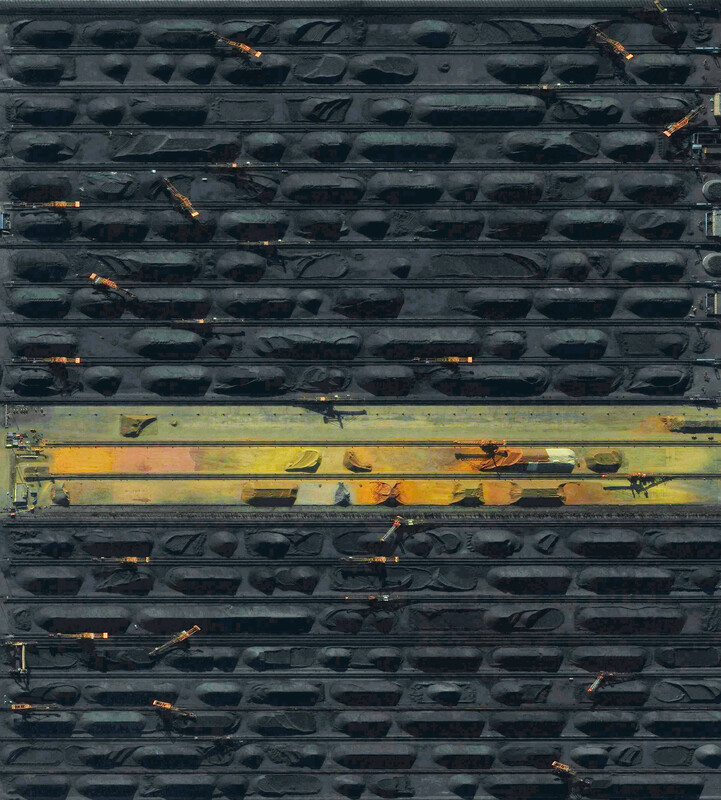 Qinhuangdao Coal Terminal – China. Right now you are looking at the largest coal shipping operation in all of China. More than 210 million tons of coal are pushed out of this facility every single year. China is notorious for their reliance on dirty energy and places like this will keep it that way. 20. Seattle – Seattle, WA. Mount Rainier dominates this gorgeous skyline view of Seattle, Washington. Seattle is one of the more increasingly popular destinations in the United States thanks to its commitment to nature and booming art sectors. 19. 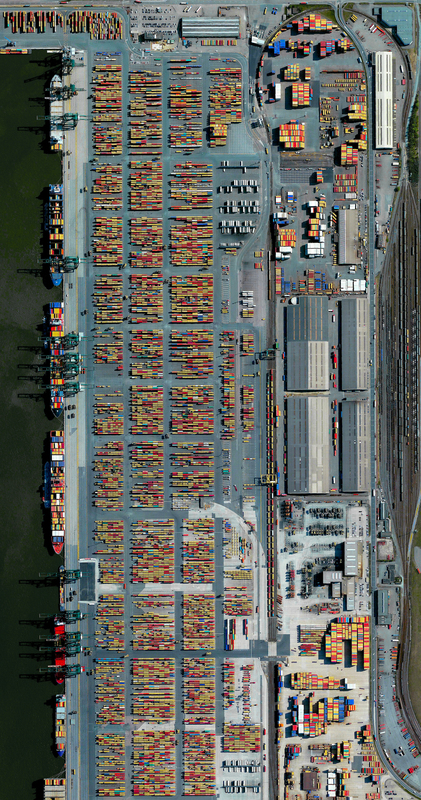 Port of Antwerp – Belgium. This is the second largest port in all of Europe, trailing only the Port of Rotterdam. Over the span of a year, more than 71,000 vessels will dock at this location while moving over 314 million tons of product. 18. Giza Pyramids – Cairo, Egypt. We are looking down at the oldest and most ancient of the Seven Wonders of the World. The Pyramids of Giza are remnants of Ancient Egypt and home to as many questions as answers about our historical past. From above these pyramids look like toys, but in person, they dominate everything around them. 17. Ipanema Beach – Rio de Janeiro, Brazil. 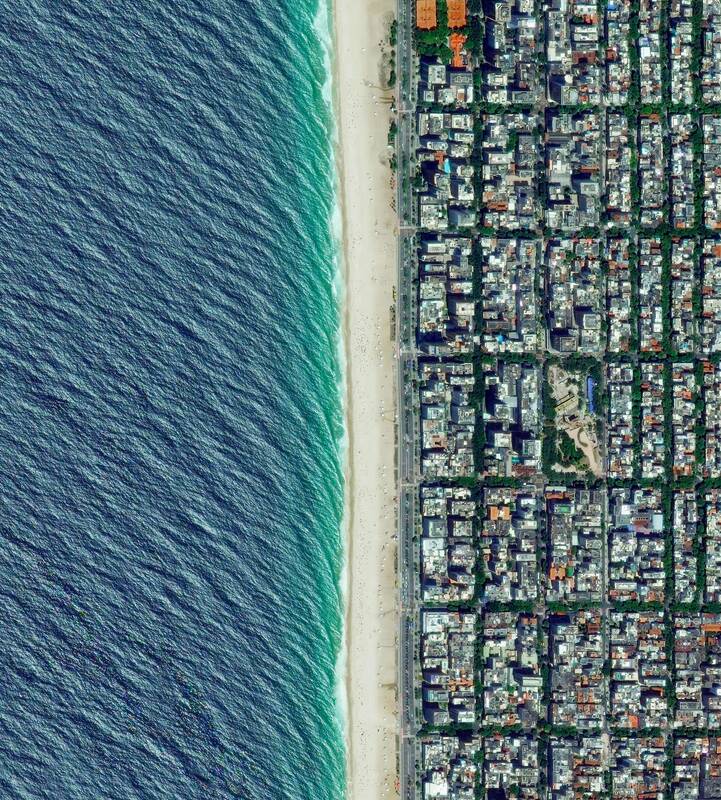 Ocean meets city in one of the most captivating aerial photographs that we have ever seen. Ipanema Beach is widely considered to be one of the most gorgeous and well-maintained beaches on the planet. 16. Bac Son Valley – Vietnam. The Bac Son Valley isn’t terribly far from the popular Hanoi but it is still remote enough to feel mystical. The Bac Son Valley is an ideal destination for adventurous travelers who are looking for a view to remember. 15. Vatican City – Rome. The Vatican City, located in Rome, is only 110 acres and size and is considered to be the smallest country on the planet. In this picture, you are seeing a great expanse of history and culture, including the legendary Vatican Museum. 14. 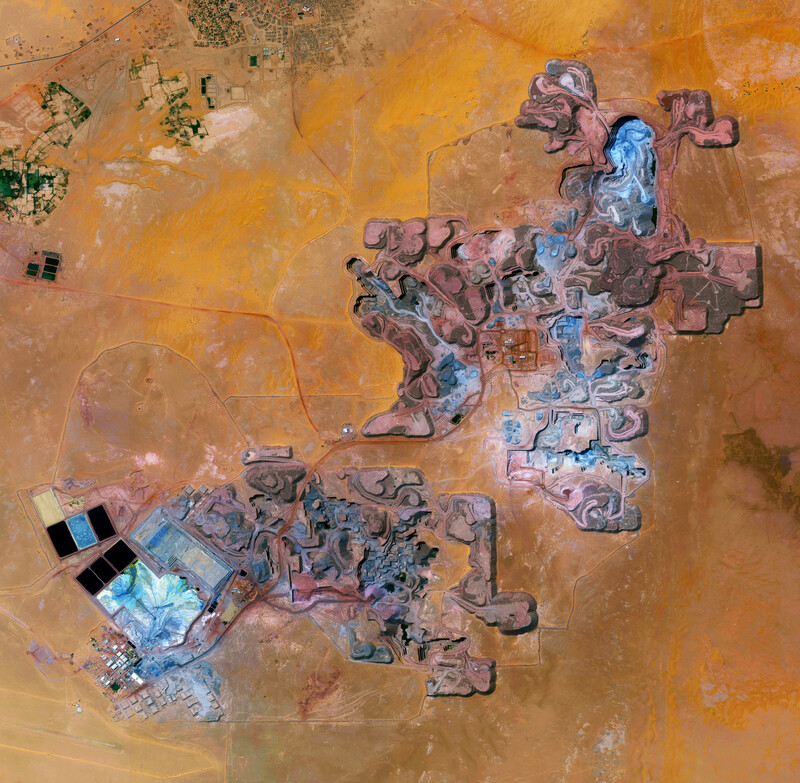 Alrit Uranium Mine – Niger. Uranium is of the utmost importance for the French nuclear weapons program and that makes the Arlit Uranium Mine in Niger a very important piece of property. Though this mine looks like it produces more than 3,400 tons of uranium per year. 13. Lake in Pomerania – Poland. Here we see a slew of gorgeous colors condensed into one image as we look down on a like in Pomerania, Poland. This entire region is covered in lakes and it makes for some wonderful photography. You can even see a large bird reflected in the water. 12. Tulips – Lisse, Netherlands. 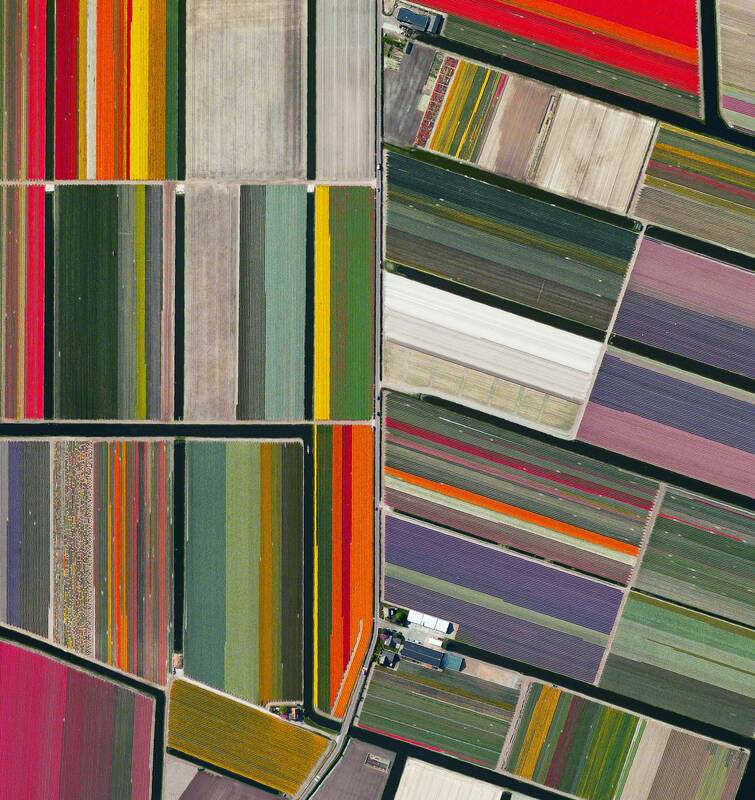 Here we see multiple tulip fields in full bloom in the town of Lisse, Netherlands. Every March these beautiful flowers begin to bloom and by the end of the growing season over 4.3 billion tulip bulbs will have been produced. These bulbs are sold throughout the Netherlands before being exported to Europe. 11. San Francisco – San Francisco, CA. It’s almost hard to comprehend that we can see so much of life in a single image. This tilt-shift view of San Francisco showcases much of the city away from the Bay that most photographers focus their work on. 10. Terrace Rice Fields – China. Otherwise known as ‘rice paddies’, the terrace rice fields of China are sort of the trademark crop of the country. Rice fields are located throughout the country’s rolling fields and they have to be grown in levels in order to acclimate to the varying elevation. The Maldives are another of the world’s smallest countries. Here we see the capital city of Male which showcases a population of over 130,000 people. Male may be beautiful but it is also one of the most densely populated urban areas on the planet. Athens is the capital city of Greece and considered to be one of the oldest cities on the planet. With over 3,400 years of recorded history, there is plenty to take in with this sky high photograph — including the legendary Acropolis. 7. Cape Town – South Africa. Cape Town is the second most highly populated city in South Africa, right after Johannesburg, and it is revered for its amazing city design. As recently as 2014 Cape Town has been listed as ‘the best place in the world to visit’ by the New York Times and Daily Telegraph. More than 24 million people call Shanghai home and its import in the world is reflected by its population. Shanghai is a global financial center and one of the busiest transportation hubs on the planet. Shanghai is a glowing jewel in the booming Chinese economy. 5. Meskendir Valley – Turkey. This breathtaking image shows the Meskendir Valley and the city of Goreme in the background. The Meskendir Valley is in central Turkey and it is renown for its hot air balloon tours thanks to rolling, deep valleys. Tourists who want a grounded view of the valley will require about four hours of solid hiking time to see everything from end to end. Paris is the heaviest populated city in France and it has a population of over 2.2 million people. Founded in the 3rd Century BC, Paris is one of the oldest highly populated cities on the planet. Despite its age, we can see the careful planning that the city went through as it grew. Bern is the capital of Switzerland with a population of over 141,000 people as of April 2016. The town center of Bern, what we are looking at here, is a member of and protected by the UNESCO World Heritage Foundation. Bern routinely makes the top ten list of best places to live on the planet thanks to a high quality of life index rating. 2. The Namib Desert – Namibia. The Namib Desert is located off of the coast of Southern Africa. ‘Namib’ means vast place and that is exactly what you see here. The Namib Desert stretches for over 1,200 miles throughout a variety of coasts along the Atlantic: Namibia, South Africa, and Angola. What we see in this picture is a tilted view of the Namib desert reaching the Atlantic Ocean. Breathtaking and beautiful. This shot reveals why it’s so easy to consider Vancouver one of the best places to live in the world. Vancouver is a planned city that has a population of around 600,000 people. Locals love Vancouver because of its linear connection to nature and large, diversified population. Vancouver is consistently at the top of the list when it comes to “most livable cities” in the world.